Gorgeous full color glossy art coasters. 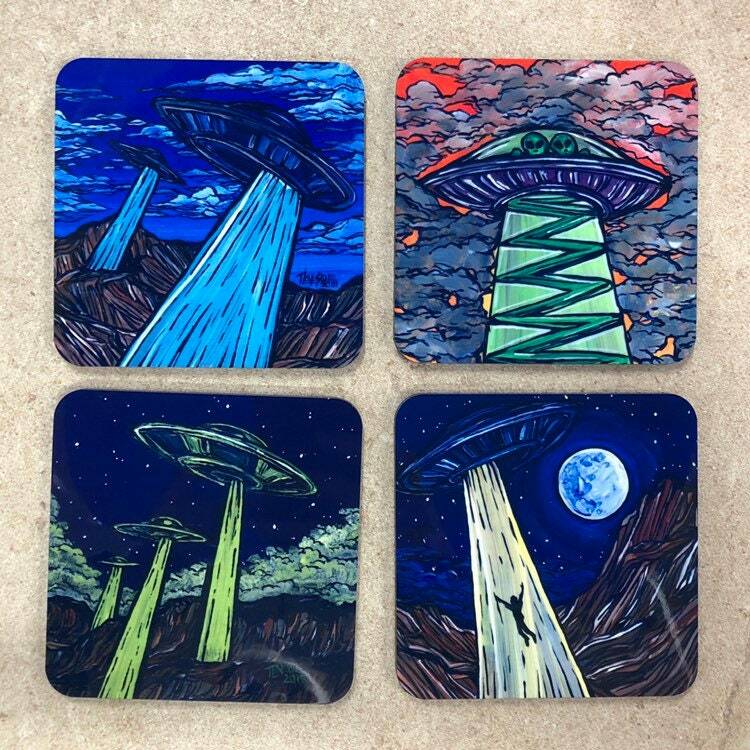 This set of 4 coasters makes an attractive and functional gift. Dye sublimation printed on 3.75" square cork backed hardboard. For everyday use or display.